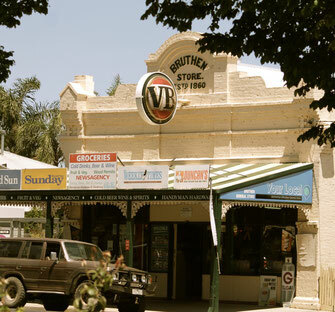 Bruthen is a small town located alongside the Tambo River between Bairnsdale and Ensay on the Great Alpine Road in East Gippsland, Victoria, Australia. At the 2006 census, Bruthen had a population of just 624(now about 900). Its a small rural town with some gorgeous buildings EST 1860. 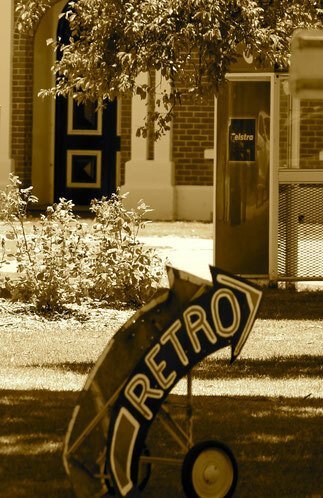 While spending time in East Gippsland, on a 30 degree day, we decided to forgo the beach for a stroll under the magnificent trees and take in the "retro". The one and only Main Street is dotted with trinket shops, bazaars and used good shops. and food cafes, bakery and the new Bullant Brewery, which is becoming well known for its delicious food and craft beers. Civic gardens with gazebo, roses and trees sits in the middle, like a village green. Although the town is small, its beauty and out of the way positioning is a drawcard for many visitors who would like a sunny afternoon strolling under the shade. 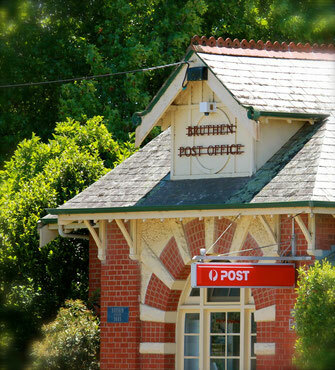 The East Gippsland Rail Trail passes through Bruthen on its way between Bairnsdale and Orbost, following the route of the old railway, and is popular with walkers, bicyclists, and horse riders. The Fairy Dell Scenic Reserve is located west of Bruthen, accessed via Eleven Mile Road. This thick forested park features picnic areas and walking tracks through the temperate rainforest. The Historic Post Office was built in 1890. 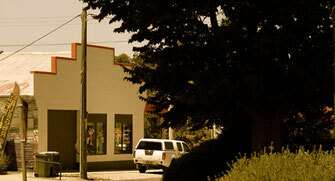 The General Store is thought to be the first building in the town was EST 1860. 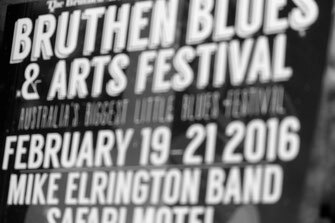 Bruthen is well known for its love of the blues, and this year will be the 21st anniversary of the Bruthen Blues and Arts Festival. 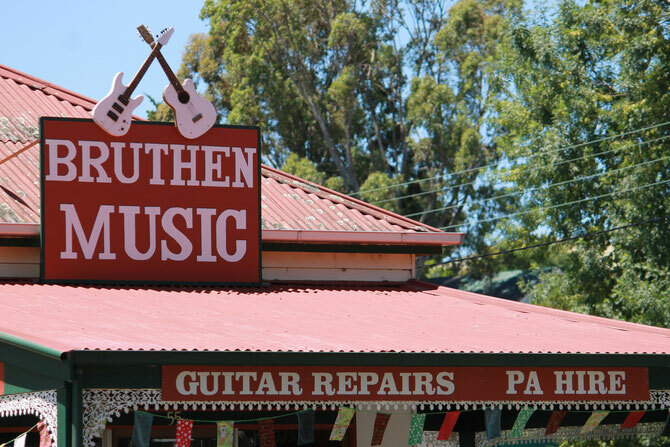 Bruthen also has a gorgeous music shop filled with all sorts of musical goodies, a recording studio and lessons. Art Deco Garage at the end of the Main Sreet. 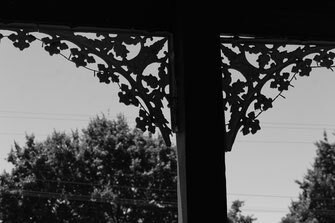 Old fashioned detailing on the buildings and cottages. 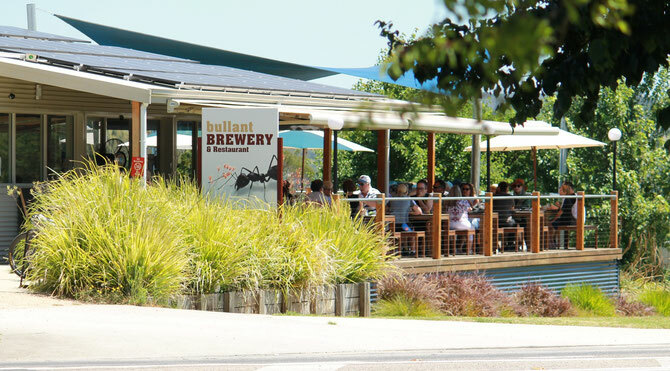 Only established over the last couple of years, the Bullant Brewery is becoming very well known for its delicious food and craft beers. They have an excellent selection of pizzas and "bites" share food style menu up to "big bites" which includes steaks, burgers, seafood and salads. They also have an excellent Gluten Free menu.